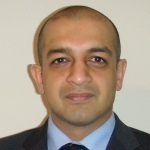 Wasim Khan is a University Lecturer and Honorary Consultant Trauma and Orthopaedic Surgeon. He has a research interest in stem cell sources, characterisation, differentiation and clinical applications. His clinical interest is in Knee injuries and disease, especially cartilage and meniscal defects. He aims to identify better ways of treating cartilage and meniscal lesions in the knee and developing cell-based treatments. Wasim was awarded a MRC Clinical Research Training Fellowship to complete his PhD looking at chondrogenesis in MSCs under the supervision of Professor Tim Hardingham at the University of Manchester. He was awarded the Syme Medal by the Royal College of Surgeons. Wasim then completed an Orthopaedic Academic Clinical Training programme at the Royal National Orthopaedic Hospital, Stanmore and University College London, where he was a Lecturer from 2010-14 under the supervision of Professor David Marsh and Professor Tim Briggs. Wasim has completed national (Bristol and Cardiff) and international (USA, Europe and Australia) clinical and research fellowships. He has authored over 250 papers, 50 chapters and 3 books. Forriol F et al. (2015) VEGF, BMP-7, MatrigelTM, Hyaluronic Acid, in vitro cultured chondrocytes and trephination for healing of the avascular portion of the meniscus. An experimental study in sheep. Current Stem Cell Research and Therapy. 10(1): 69-76. Molvik H and Khan WS (2015) Bisphosphonates and their influence on fracture healing: A systematic review. Osteoporosis International. 26: 1251-60. Gargia D et al. (2015) Amniotic membrane transplant for articular cartilage repair: An experimental study in sheep. Current Stem Cell Research & Therapy. 10(1): 77-83. Pastides P et al. (2013) Stem cell therapy for human cartilage defects: A systematic review. Osteoarthritis and Cartilage. 21(5): 646-54.